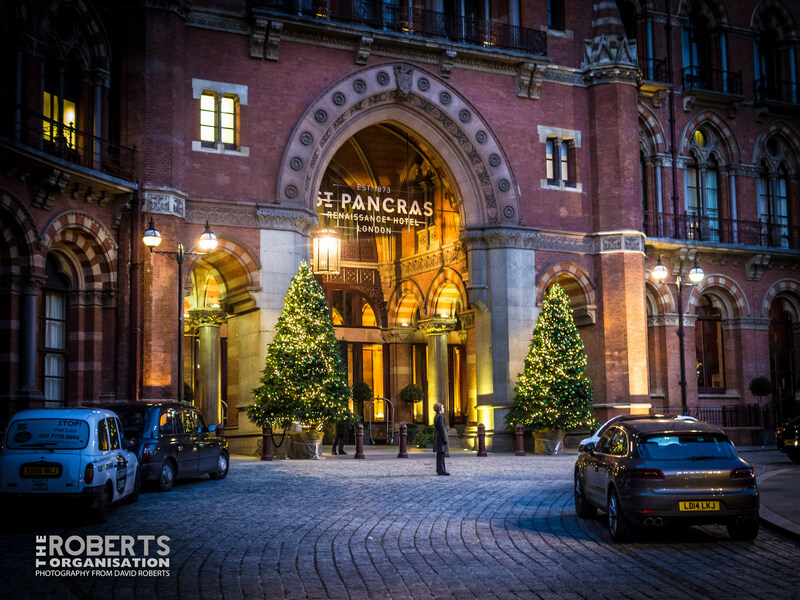 Looking at the entrance of the St Pancras Hotel at St Pancras Station, London, as Dusk falls. Buckingham Palace and the Victoria Memorial in front of it. 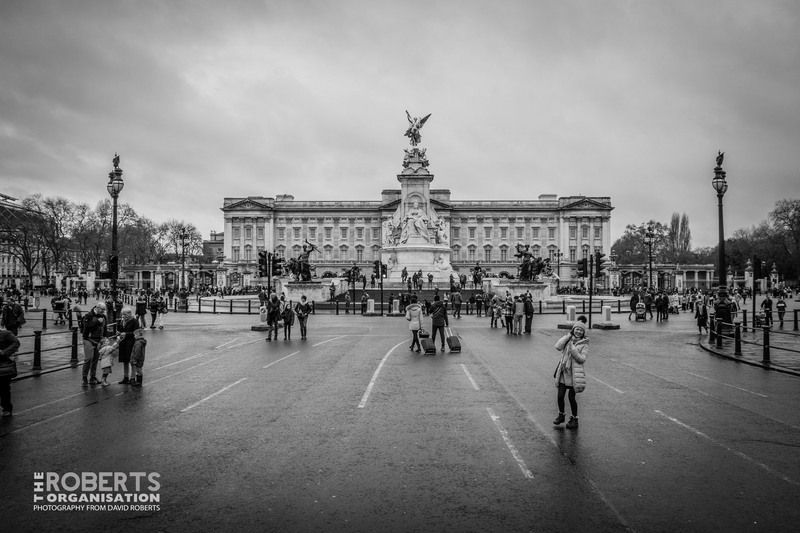 The fact the Mall was closed due to security concerns made this normally very difficult angle of the Palace very easy to achieve!